Lenny Breau is widely recognised as one of the greatest guitarists that has ever lived. He excelled technically, being able to play bass lines, comp chords and pick out a melody at the same time. 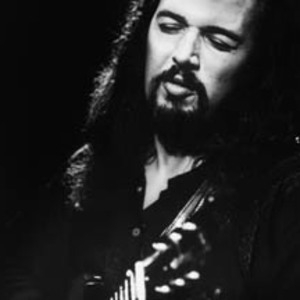 As his career progressed his artistic approach to the guitar matured, and he was able to use his mastery of a number of styles, including jazz, country and flamenco, to produce a shimmering, emotionally charged soundscape. His trademark was his use of rapid-fire harmonics and so-called 'harp-style'. As his career progressed his artistic approach to the guitar matured, and he was able to use his mastery of a number of styles, including jazz, country and flamenco, to produce a shimmering, emotionally charged soundscape. His trademark was his use of rapid-fire harmonics and so-called 'harp-style'. Lenny Breau was born on August 1941 in Aubern, Maine, lived in Winnipeg, Canada for much of his life, where he met Randy Bachman, and tragically died in mysterious circumstances on August 12 1984.